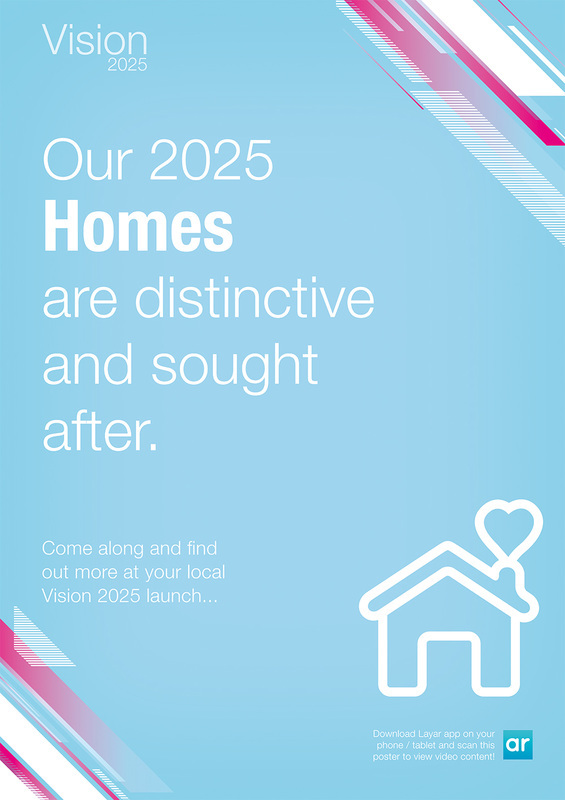 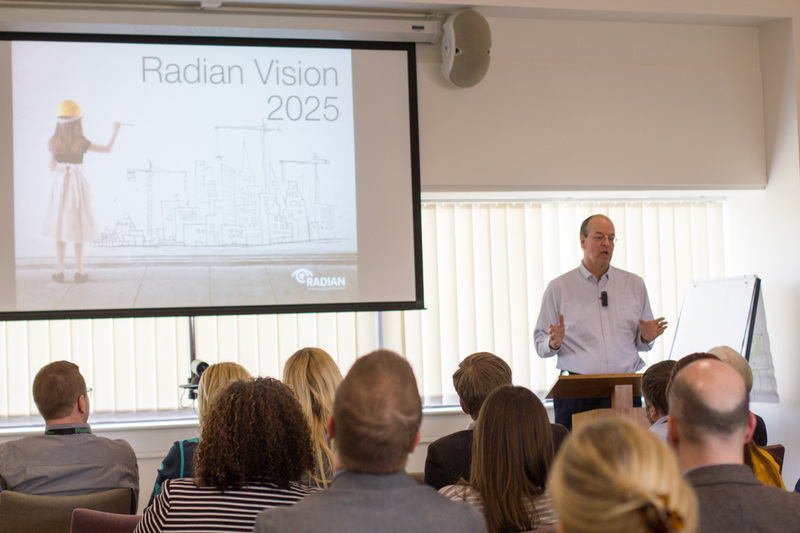 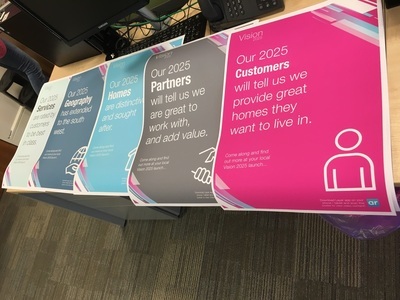 ﻿﻿Using existing branding for a Radian Futures campaign, created five different poster designs to feature across three offices to market the Vision 2025 launch. 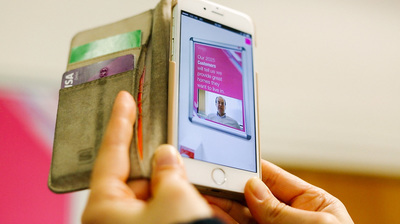 Augmented reality idea was suggested using Layar app where users can download the app and scan the poster where a video of the CEO welcoming staff to attend the launch. 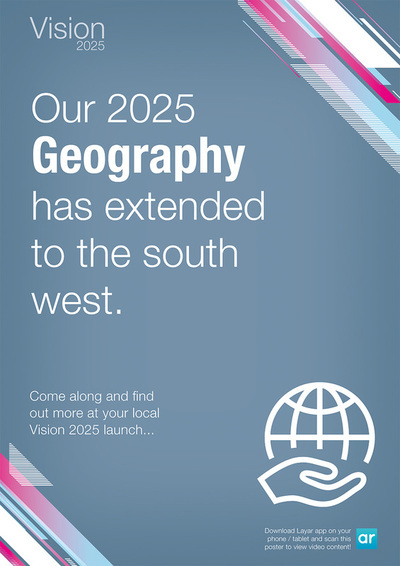 The great thing is how it makes the viewer feel personally invited to the launch watching the video pop up on their video screen. Also took photographs from the launch event for article/ press release follow up. 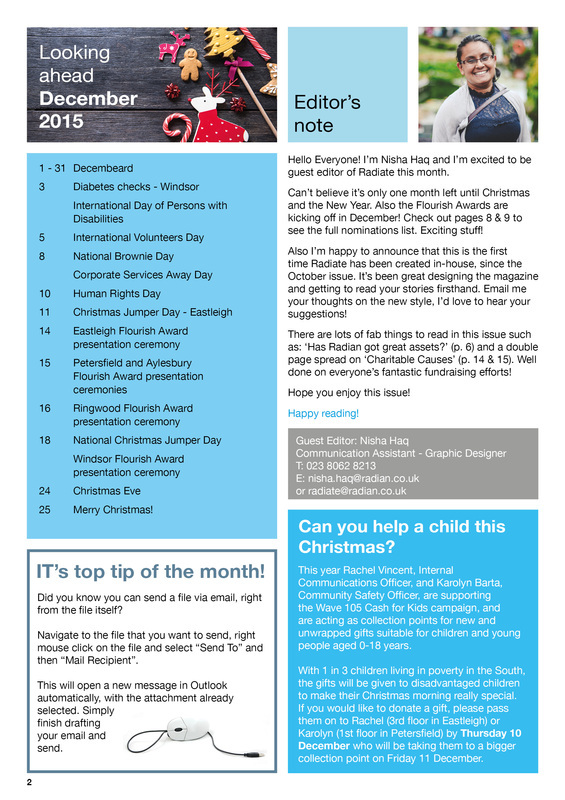 ​Having much experience in creating email templates, designed a layout on Mailchimp that would be compatible with email providers including Microsoft Outlook. 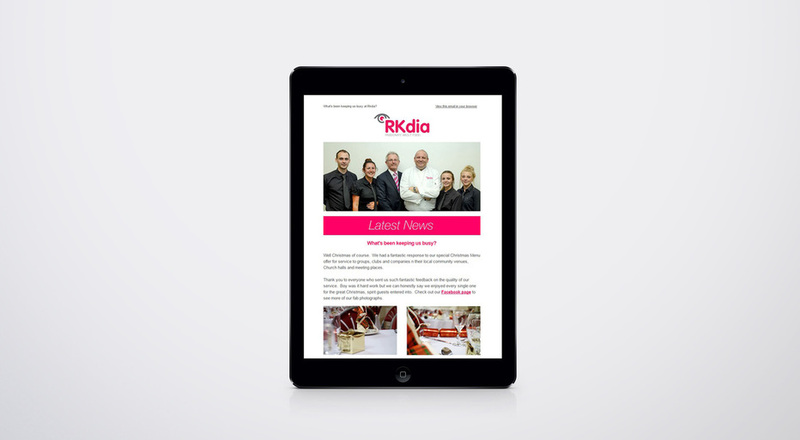 The brief was to engage stakeholders, businesses and customers using their catering service through a regular e-newsletter. 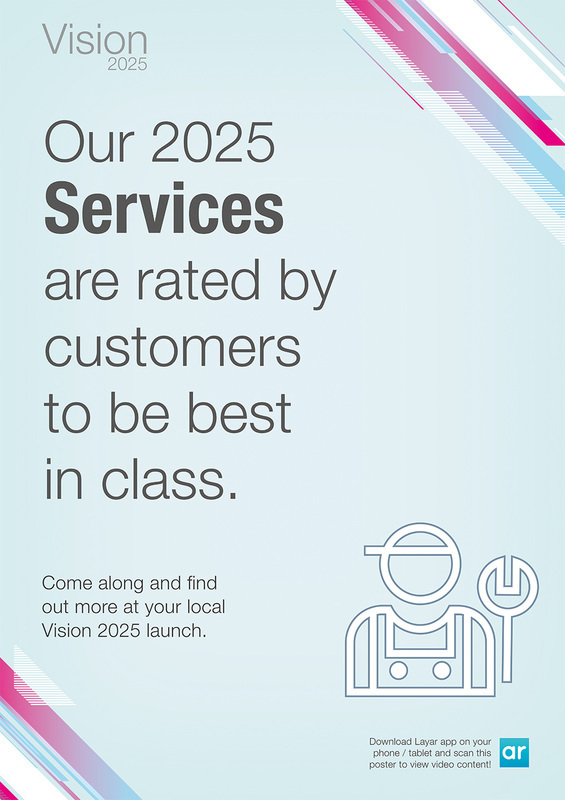 Using a strong grid layout and bold use of magenta to mirror their logo, this was eye-catching and easy to read. 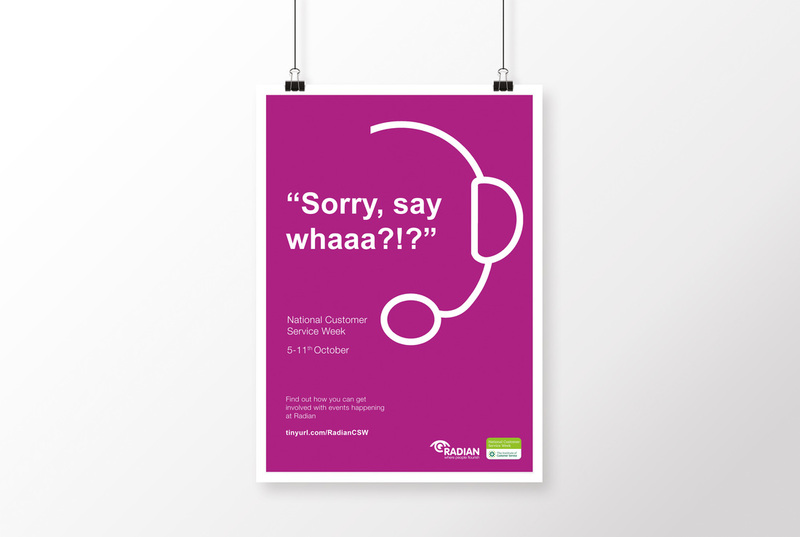 Designed posters for an internal campaign at Radian to celebrate National Customer Service Week. Using a bold colour and font from the company brand guidelines, used a tongue-in-cheek phrase to engage staff which was well received across the organisation. Additionally designed postcards with quizzes that were sent to staff using bright colours to continue the theme. 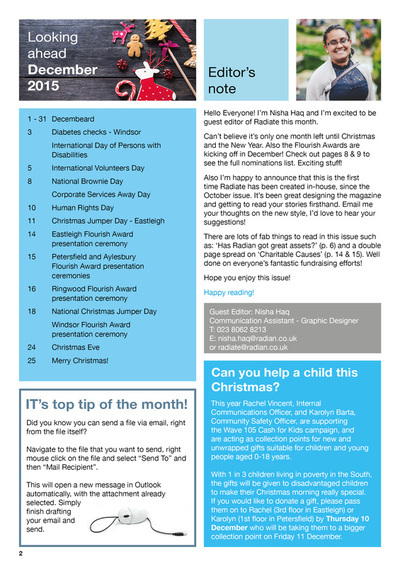 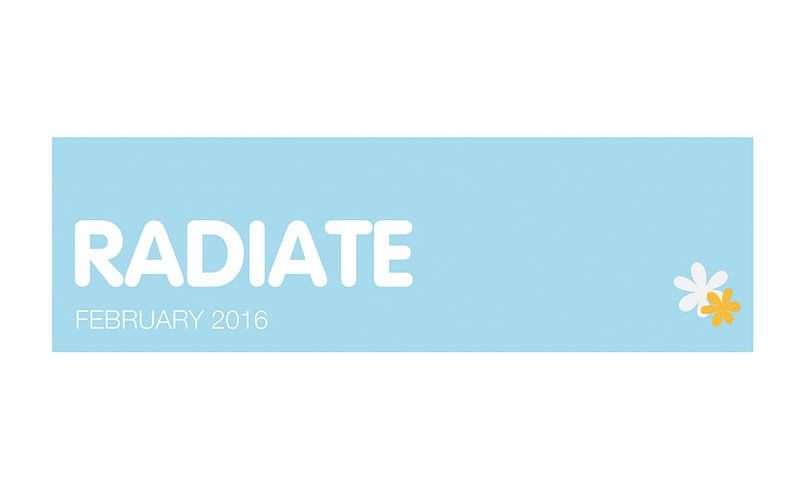 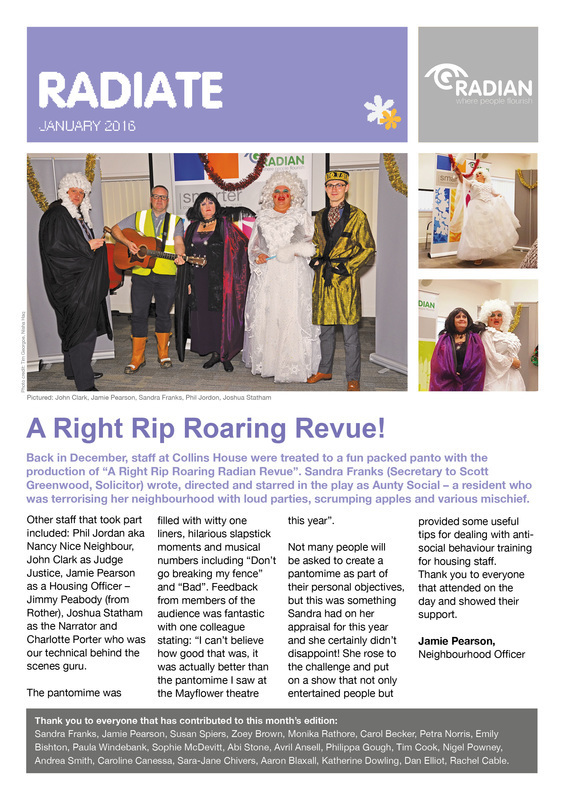 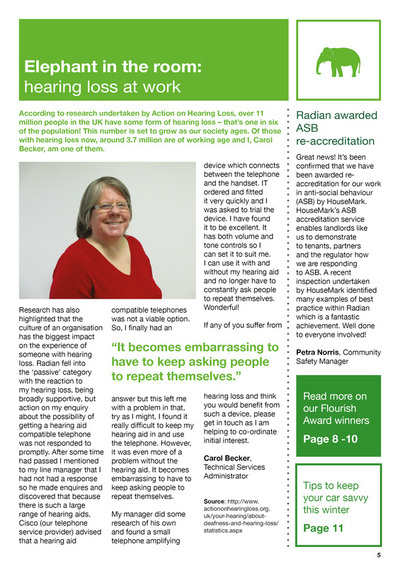 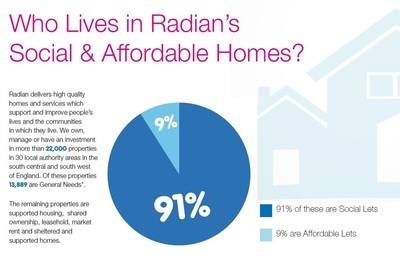 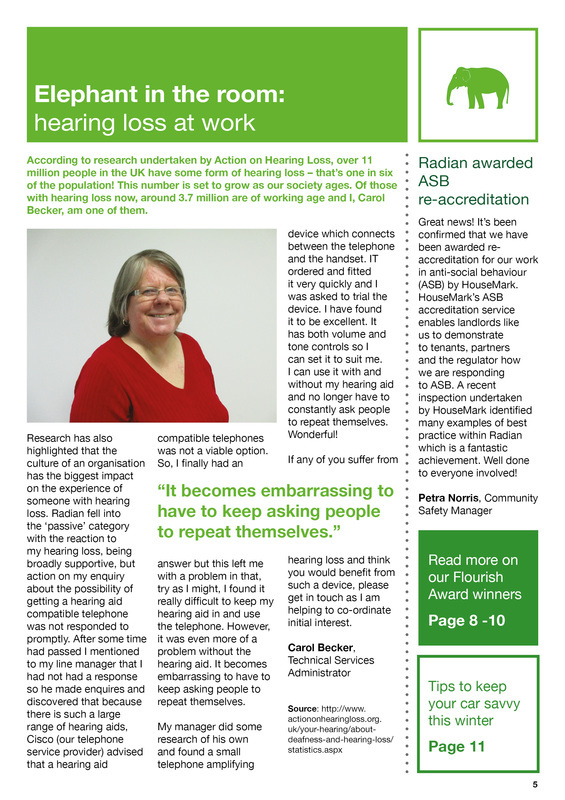 ​Created a 12-16 page monthly magazine, Radiate for internal staff to keep up to date with latest news and events across Radian. 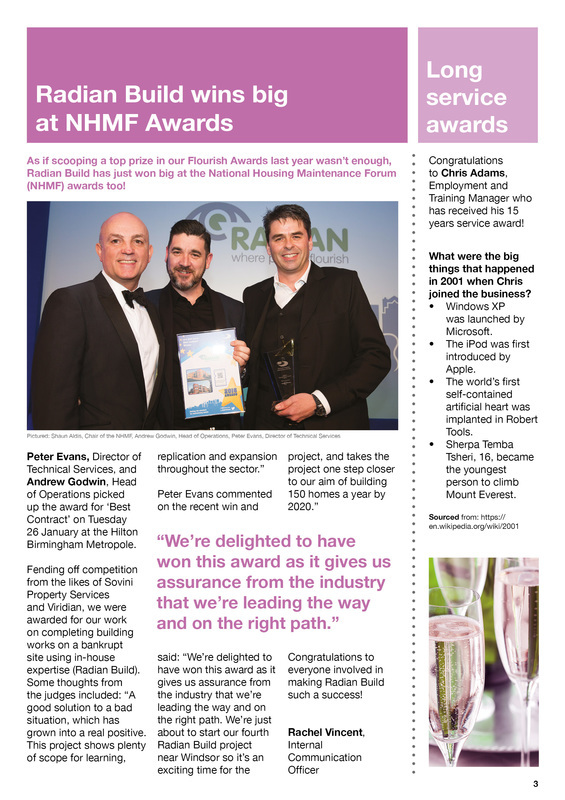 This publication was previously outsourced to a deisgn agency and since taking this managing in-house, I have refined the grid layout, prominent use of pull out quotes, bold colours and better use of photography which have included a range of my photos. Having a passion for magazines, I enjoy researching contemporary trends and practices in magazine publishing. 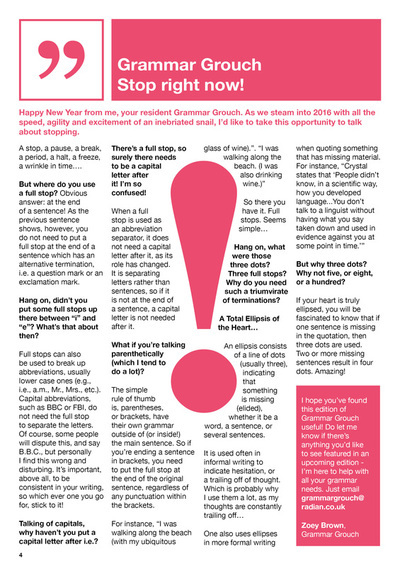 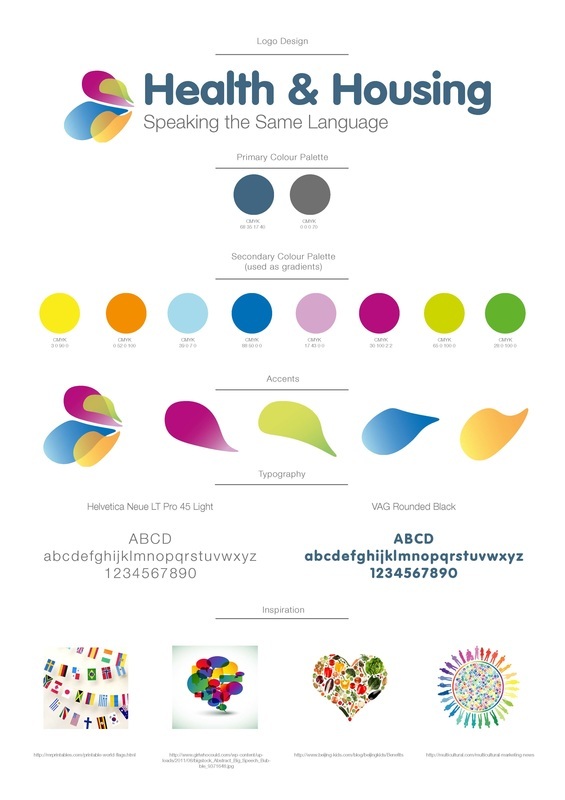 ​Created a fun and easy to read infographic that was presented to the Director’s Board meeting. 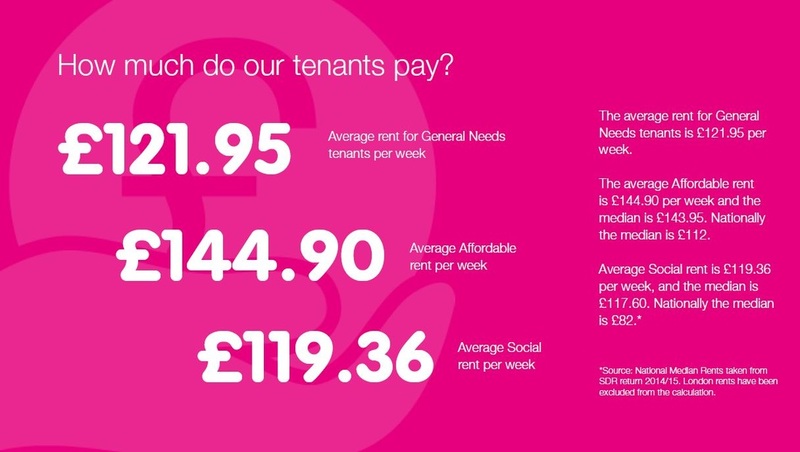 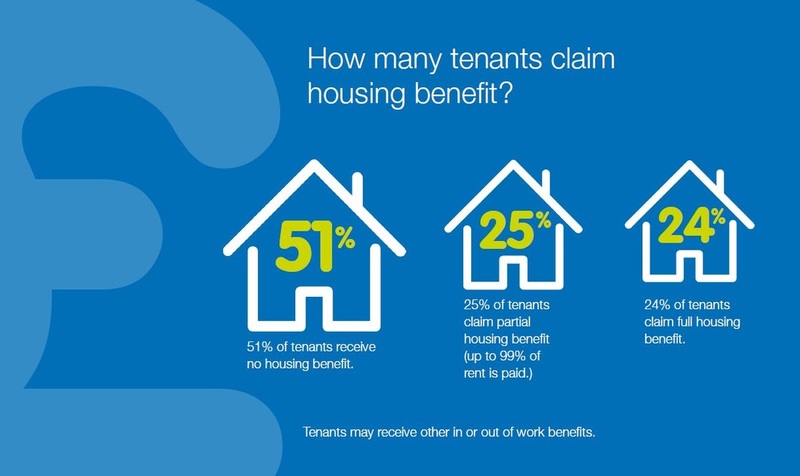 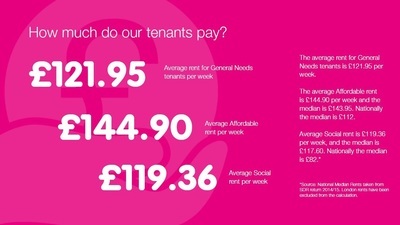 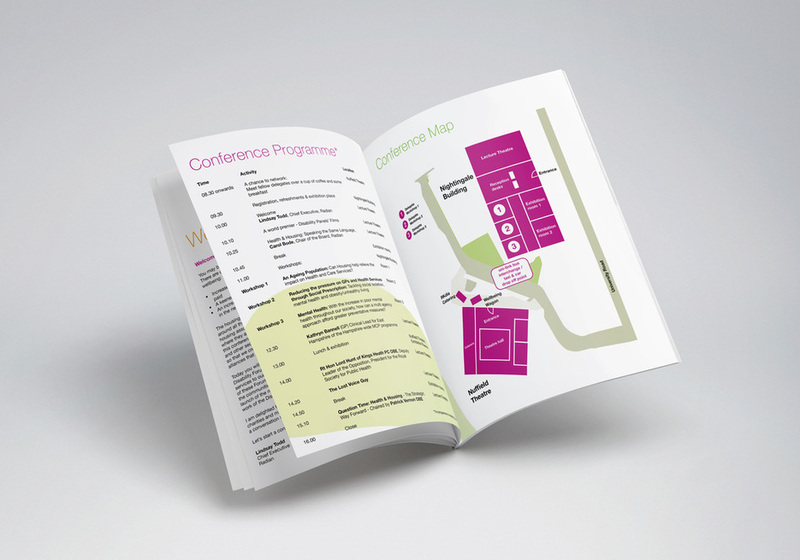 The original document was made in a clipart styled leaflet. 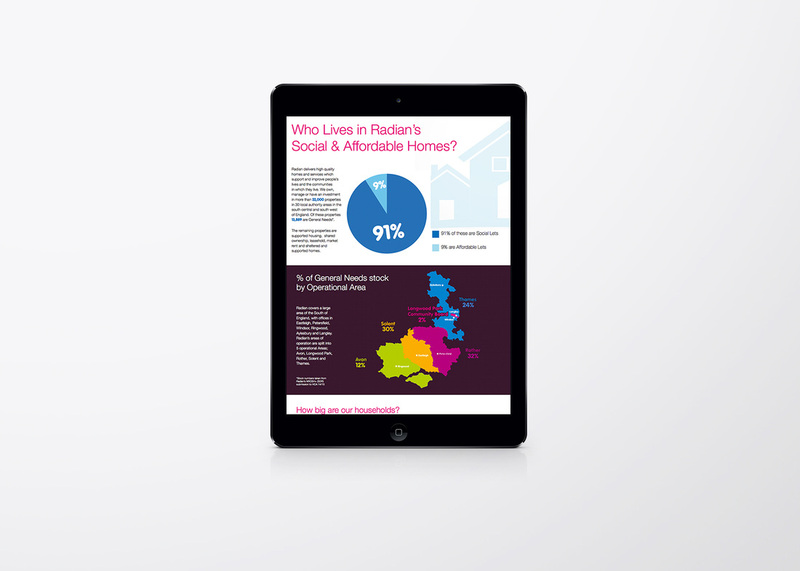 I decided to create a tablet friendly version of a long infographic design as well as a poster version to easily print and present on A3 paper. 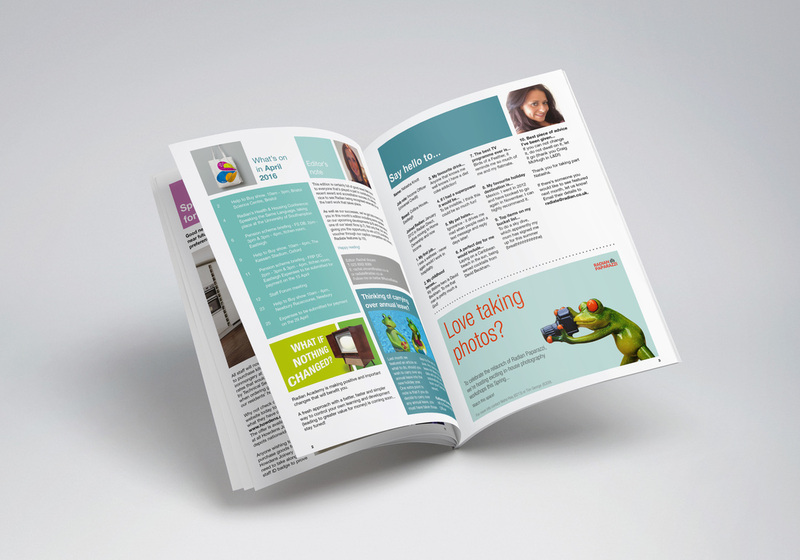 This design utilises the company brand guidelines using strong bold colours. 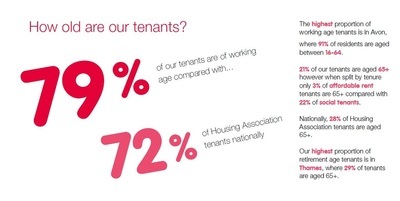 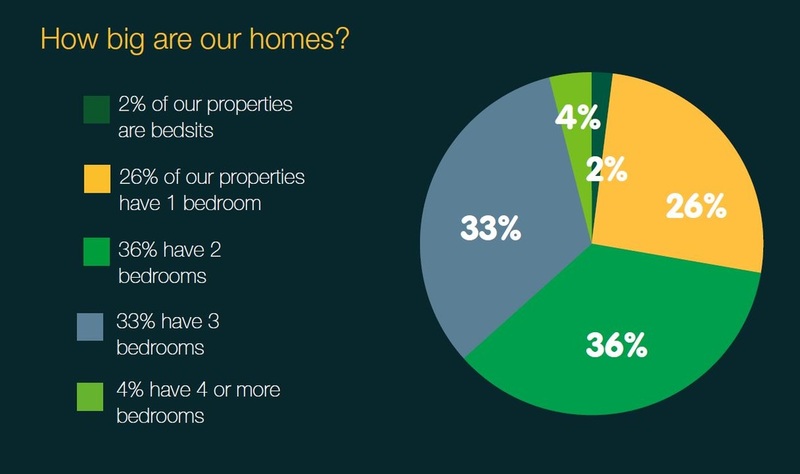 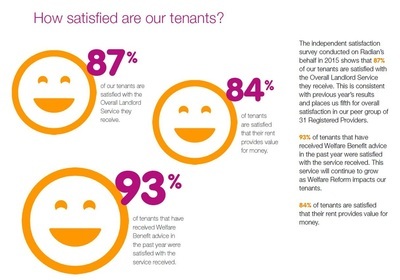 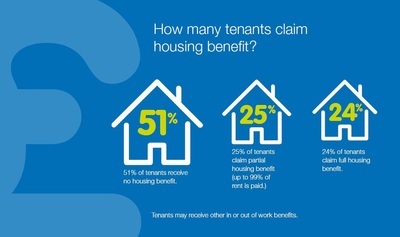 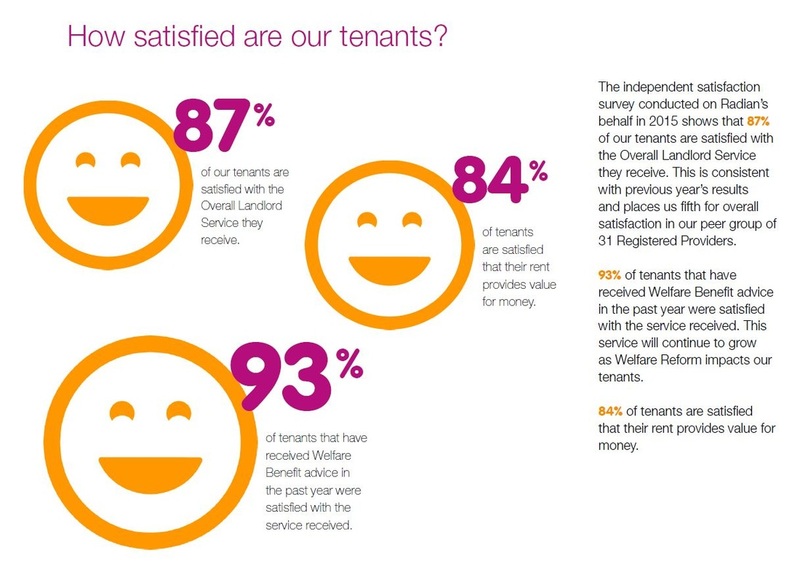 This was received very well with praise from Directors on the infographic and scroll friendly design. 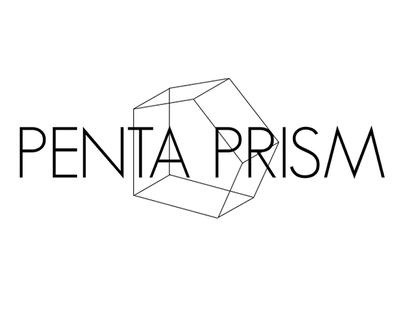 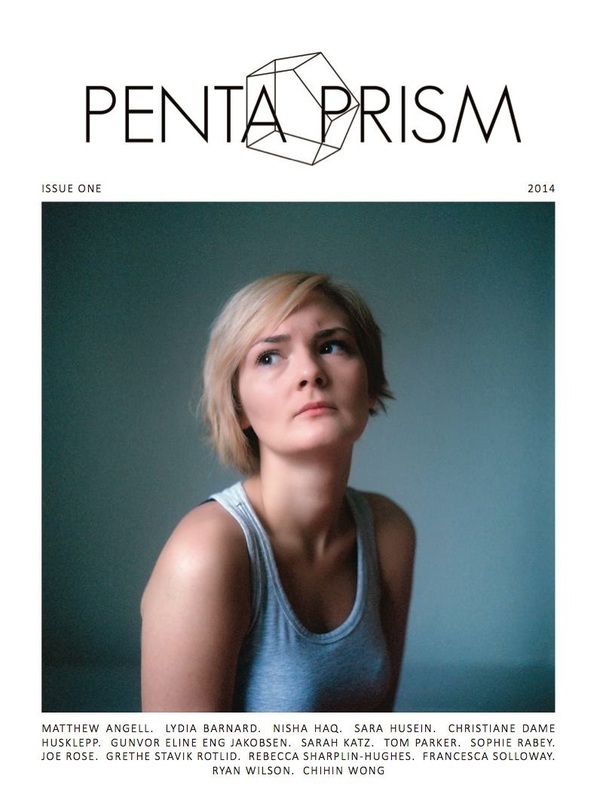 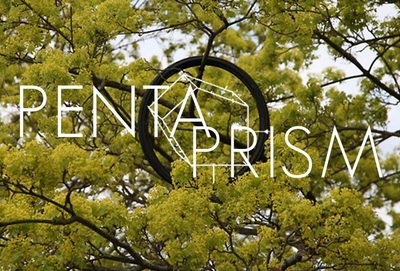 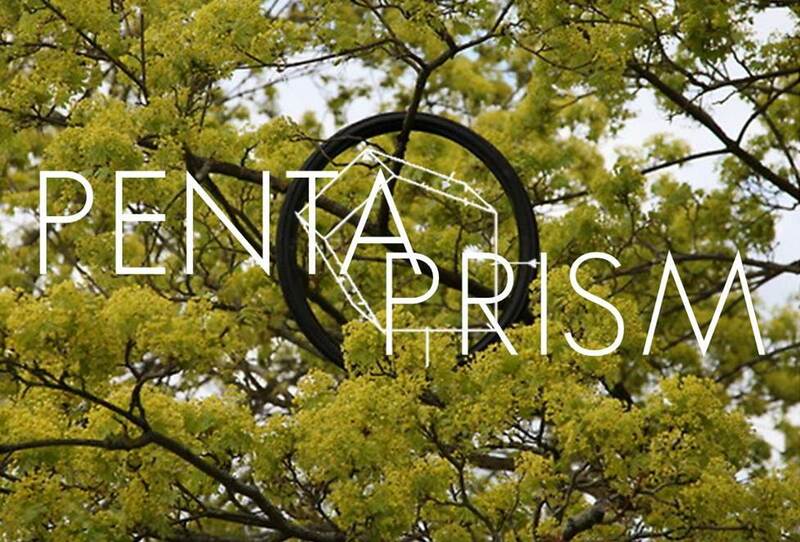 ​Founded, edited, managed and designed student enterprise, Penta Prism Magazine for print and online in 2014. 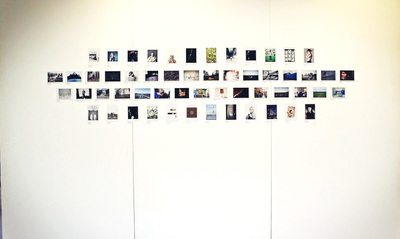 This was a great way to help raise funds for the BA Photography degree show and showcase students’ work to a wider audience. 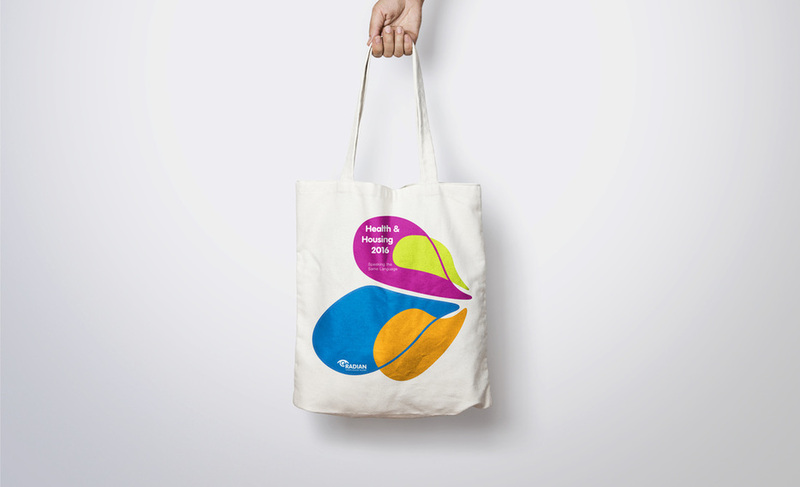 As creative director for the project, developed the branding which included designing the logo and magazine layout. 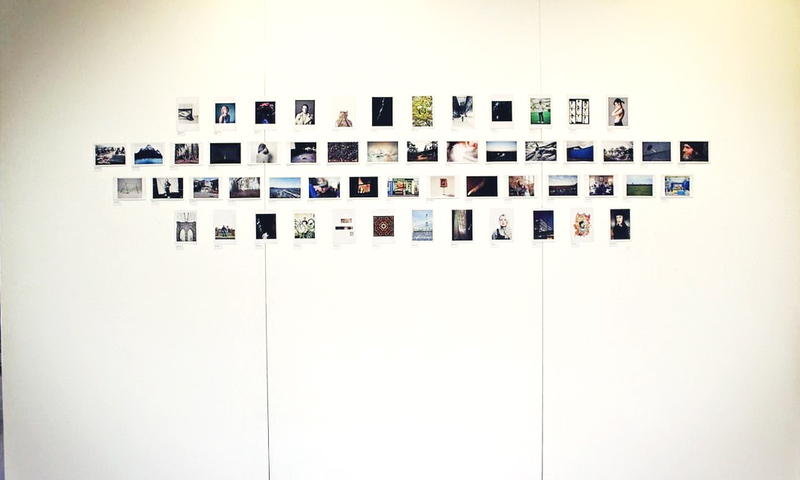 Additionally I managed a small team of editors and marketing assistants for the exhibition and magazine launch. 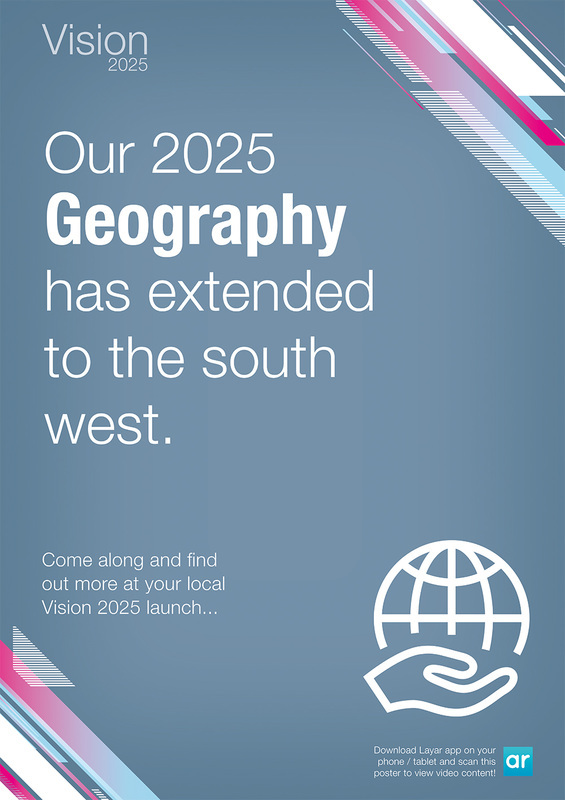 It is successfully running into its third year at Southampton Solent University. 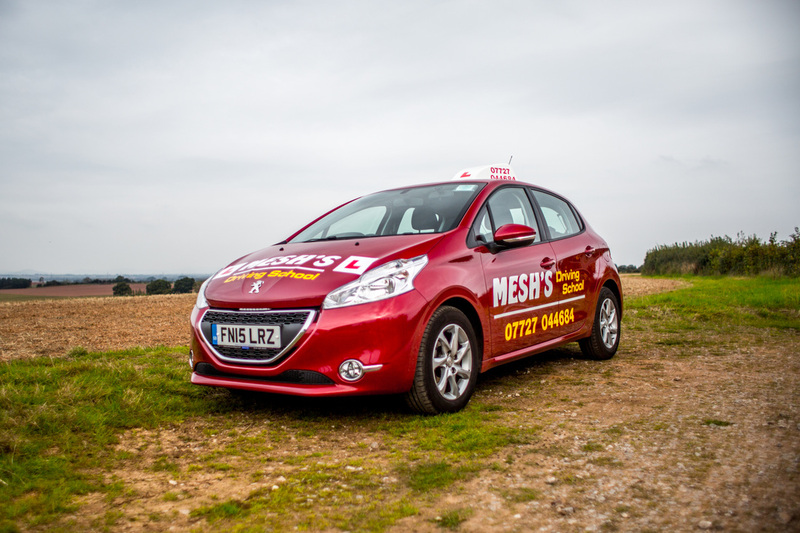 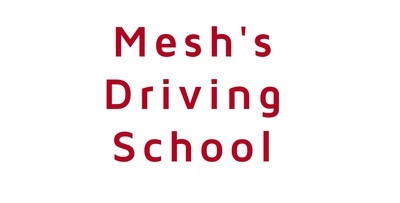 ​Created a parallax scrolling website and development for Mesh's Driving School which also included taking photographs and copywriting for the website. 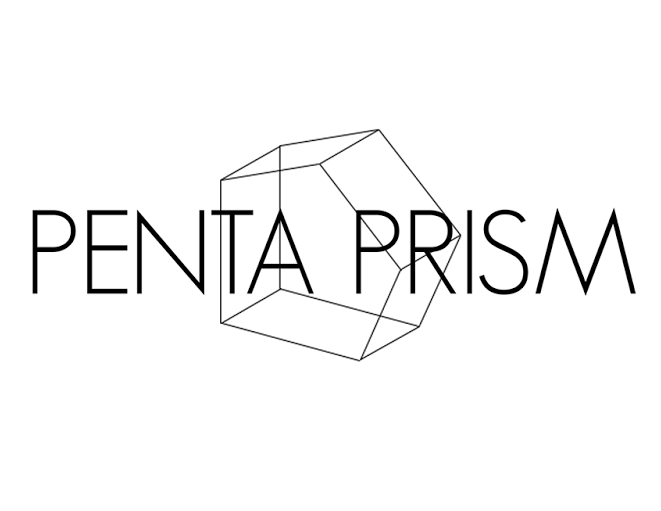 Additionally created a Facebook business page to link to her website. 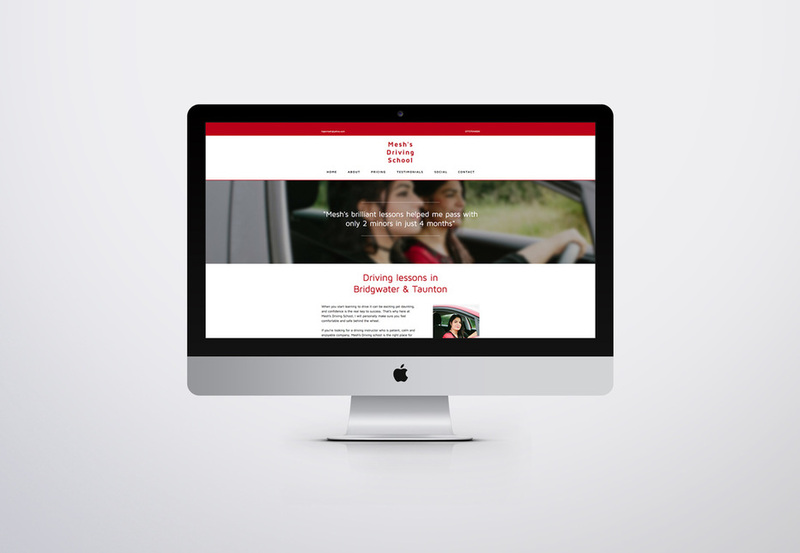 Using her red car, developed a brand identity that flows from her website. 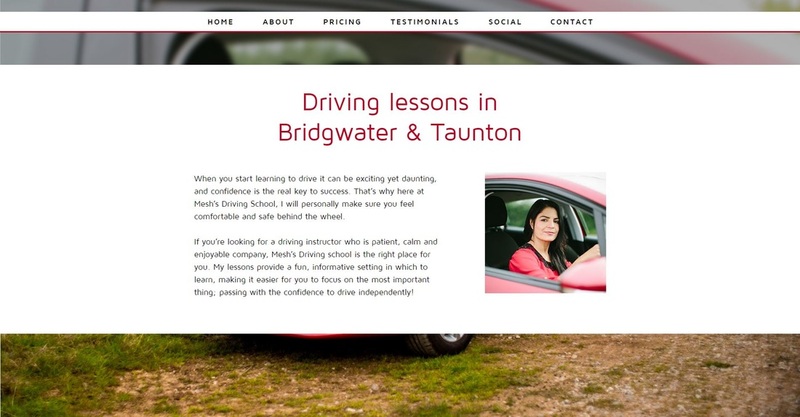 Development included using best practises in SEO which was incorporated in the copywriting. 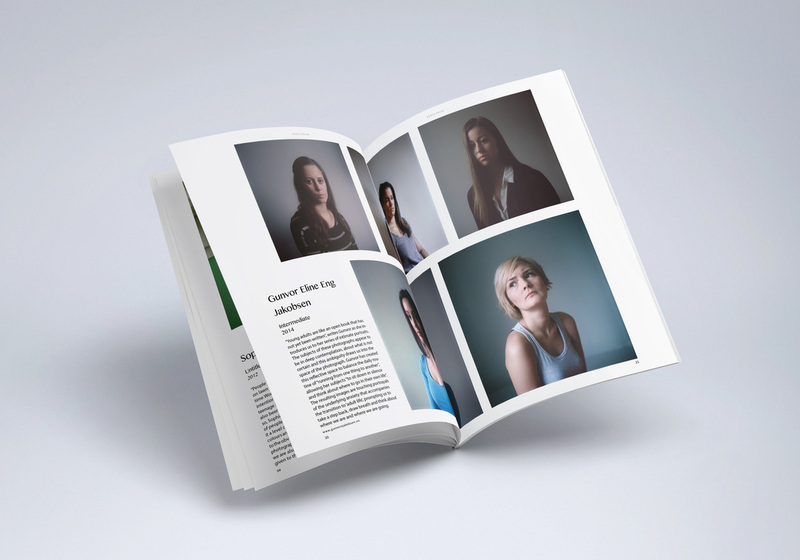 Designed using Adobe Muse. 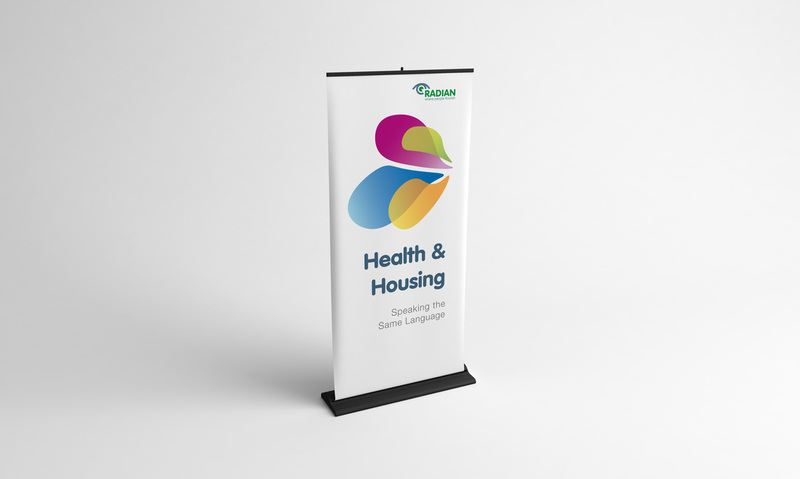 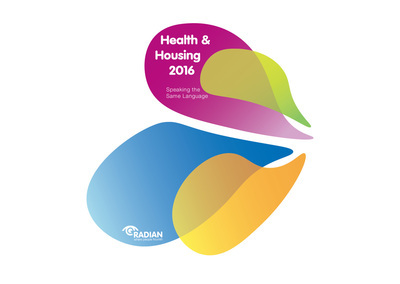 Managing the branding for the event for Radian in partnership with University of Southampton creating a wide range of designs and logo variations to use on tote bags, roller banners, emails, brochures, boomerangs, high vis jackets etc. 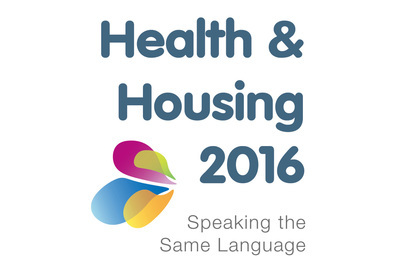 Liaising with clients and creatively thinking of concepts to best represent the conference around the themes of health and speaking the same language. 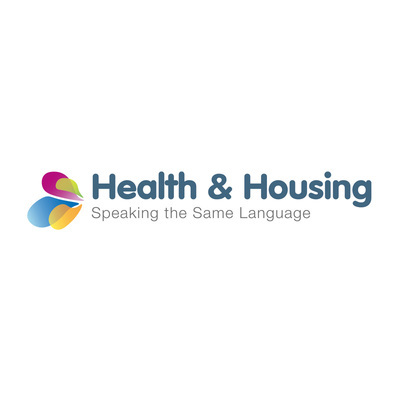 The logo icon was inspired by flag designs, speech bubbles, multinational colours and arrange the bubbles in a heart shape along the theme of heath.